Locked your keys in the car or lost your keys? Give us a call and we’ll get you back in your car or make you a new key on the spot no matter the time of day or night. “I lost my car keys!” That’s a phrase nobody wants to exclaim. Whether you need to get to work or pick your kids up from school, it is an emergency. Unfortunately, it happens all the time to people. Losing your car keys is extremely frustrating, especially if you are in a hurry and need to drive somewhere soon. At Willhite’s Mobile Lock Service, we understand that you can’t stop your busy life to wait around all day for a locksmith or for your new keys to be made. We offer car key replacement services that can get you back on the road in a short period of time. Honest Pricing – You always get an affordable locksmith service. You won’t be charged an arm and a leg just because you need special accommodations or rushed services. Guaranteed Service – A locksmith who is insured can give you the peace of mind of knowing that their work is guaranteed. 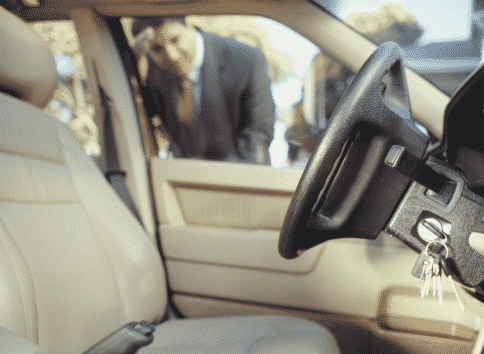 We provide a mobile locksmith service because we know you can’t exactly get to us if you can’t get in your vehicle and drive without your car keys. If you lose your main car key and key fob, a car dealership may charge top dollar for its replacement. Our rapid response emergency service can make new keys that are complete with car key fobs. Even with the rush service, we’ll save you money over what it would likely cost at a car dealership. We put great care into cutting and programming your car key, so you will never tell the difference between a laser key from the dealership and one that we cut and program. While you’re getting your car key replacement done, get a spare key made, too. In fact, it’s wise to have two spare keys. Then keep one key in your purse or wallet. Store the other spare key in a safe place at home. That way, you always have an extra key available, so you don’t have to rush for a replacement. Finally, getting a car key replacement in Winchester, VA is a breeze with the right certified, registered, and insured locksmith. Contact us today for our mobile locksmith service to get new, top quality car keys in your hands as soon as possible.